The beauty of artificial turf (or ‘grass’ or ‘lawn’) is that it’s very low maintenance. 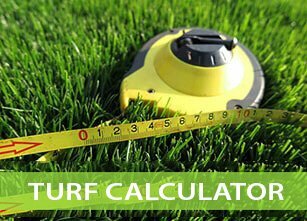 However, like all things in life, artificial turf benefits from a bit of TLC every now and again to keep it looking its best. At Turf Green, we offer artificial grass maintenance services to suit your needs. 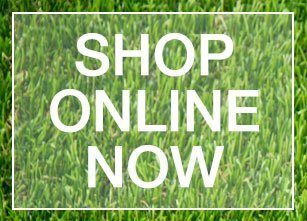 Our quality synthetic grasses have been designed and manufactured to last for years and require minimal maintenance. For example, water (and other liquids) will drain away, and the materials are resistant to tears, lifting, and stains. For low-traffic residential applications, hardly any maintenance is required. Apart from maybe raking a few leaves before a family BBQ, or hosing it down after a dog takes a leak, the grass practically takes care of itself. However, if your artificial turf sees a lot of foot traffic, is constantly rained on, or is located near sand, it may benefit from regular maintenance. As a rule, we’d recommend that high-use artificial grass areas be maintained and cleaned approximately every 6-12 months. Turf Green offer expert maintenance packages for artificial grass at very reasonable prices. We can rejuvenate your lawn to make it look great and be safer to use. 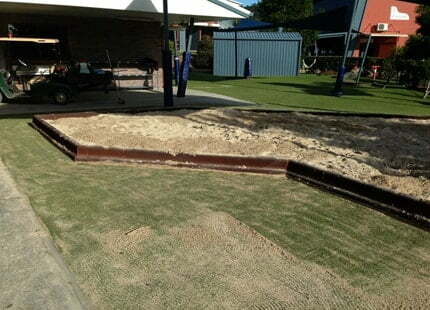 remove excessive sand (perfect if your turf is near a sandpit in a playground or a sand trap on a mini golf course). brush and groom the turf to lift flattened pile and restore the look of your lawn. We can also advise you on how best to deal with high-traffic areas, as well as any rips or tears. Our aim is to help you get the most out of your artificial lawn and extend its life as much as possible to protect your investment. 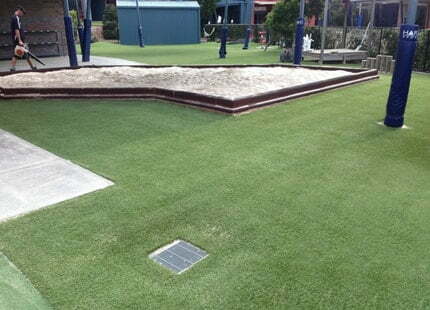 Contact us at Turf Green and enquire about our artificial turf/grass/lawn maintenance services. 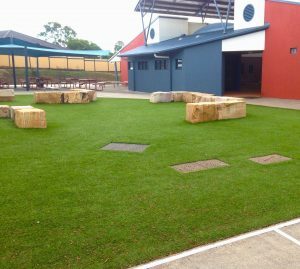 We maintain artificial turf across south east Queensland including Brisbane, Redlands, Ipswich, Logan, the Gold Coast and Sunshine Coast.